We are excited to share with you that beginning this year, Dwellings will be building homes and changing lives in Puerto Peñasco, Sonora, Mexico. We have partnered together with Puerto Peñasco residents, Gene Huddle and Jane Hammond, as well as Tucson based church, Alive Christian Fellowship to build a holistic system that supports families’ in building their own bright future: educationally, economically, physically, spiritually and emotionally. Currently we are in the process of building a strong, effective, coordinated community support system that supports the families’ capacity to establish and sustain success. We have already purchased new block making machines, (the same we use in our Cofradia location) and are preparing to build our first home this coming May. Through contacts with local leaders and interviews with potential home recipients, a list of families are being compiled with bios that we will be sharing soon on our website, www.DwellingsNow.com. We are looking for volunteer teams to take on the exciting task of committing to build a home for a family in need. Initially, a home in Puerto Peñasco will cost $15,000. Our hope is to bring this cost down as we develop longstanding relationships in the region. These homes will be constructed with the same quality and standards as our other ministry locations. A 2 bedroom, 1 bathroom home with full kitchen, dining and both indoor and outdoor living areas will be provided. Build teams will also have the opportunity to provide the recipient family with various add-ons to the home including larger outdoor living areas, solar power options, appliances and more. This is an exciting opportunity . 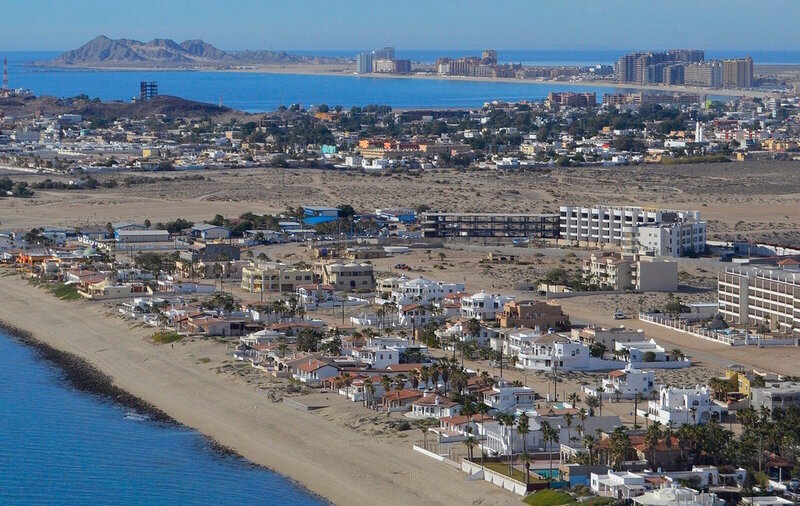 Puerto Peñasco is a beautiful, ocean-side city filled with culture and adventure. Your team will have an incredible time during your stay with Dwellings in addition to transforming the lives of a well deserving family. Come be a part of building homes and changing lives with us, in Puerto Peñasco, Mexico.